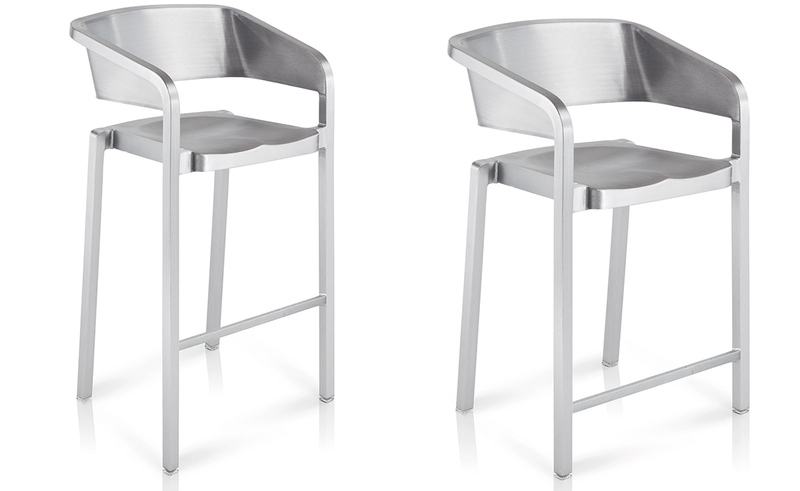 For the SoSo Collection French designer Jean Nouvel drew upon his "philosophy of nothingness" to create the simple & lightweight stools. 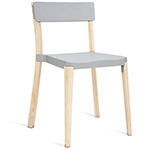 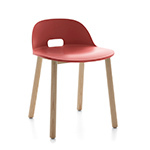 "I just kept the same Emeco DNA and evolved it into a new light and comfortable chair". 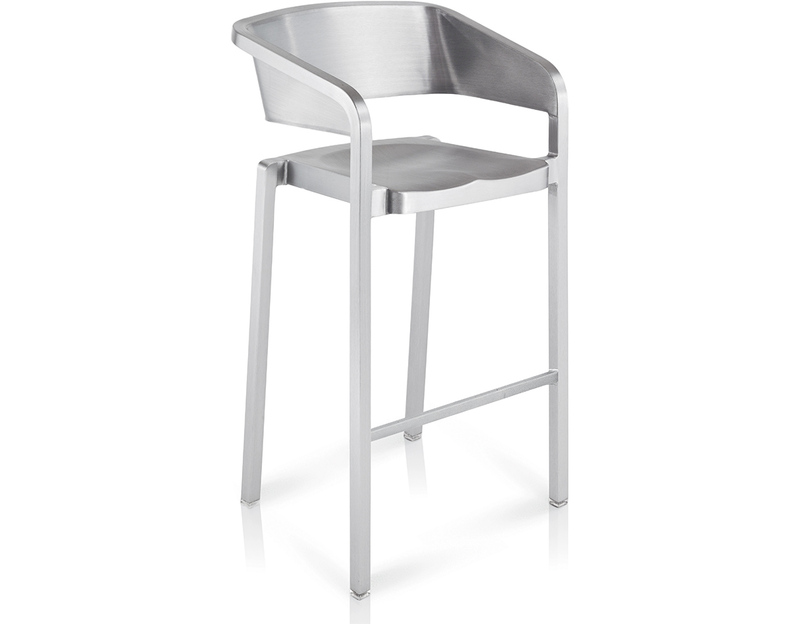 The comfortably embracing SoSo collection is handmade of 80% recycled aluminum, by Emeco craftsmen using the same process Emeco has employed to fabricate the famous 1006 Navy Chair since 1944. 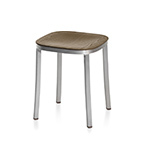 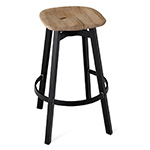 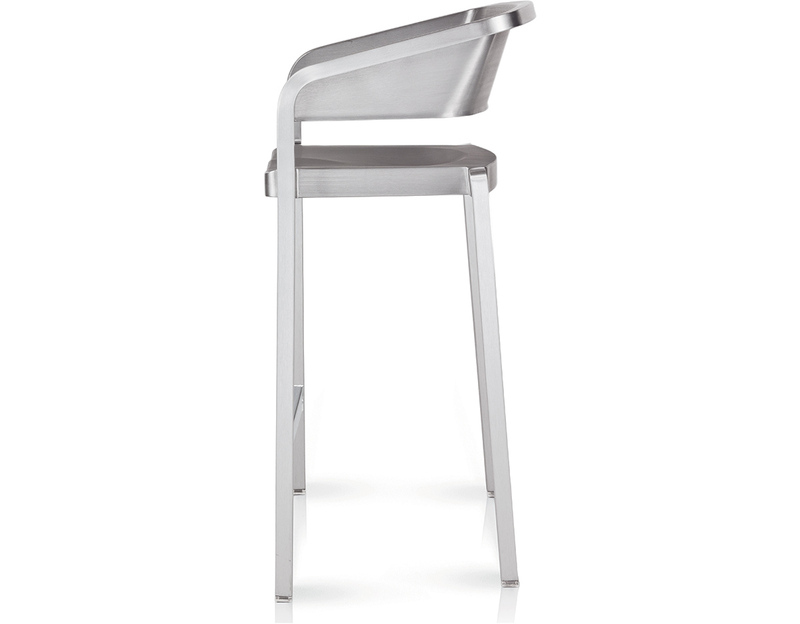 Soso stools are offered in hand brushed aluminum and include soft plastic (TPU) glides. 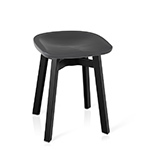 Optional formed seat pads can be specified in black vinyl or recycled PET with top surface in felt. 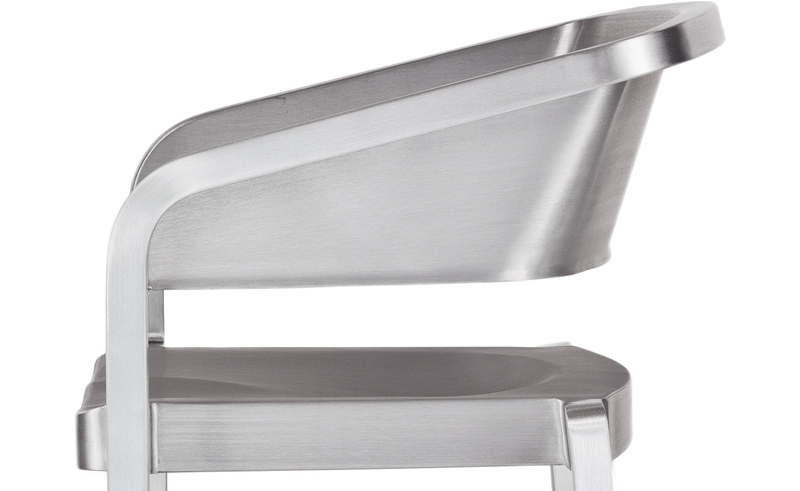 counter height: 21" w | 16" d | 37" h | seat: 24" h | 9 lbs. 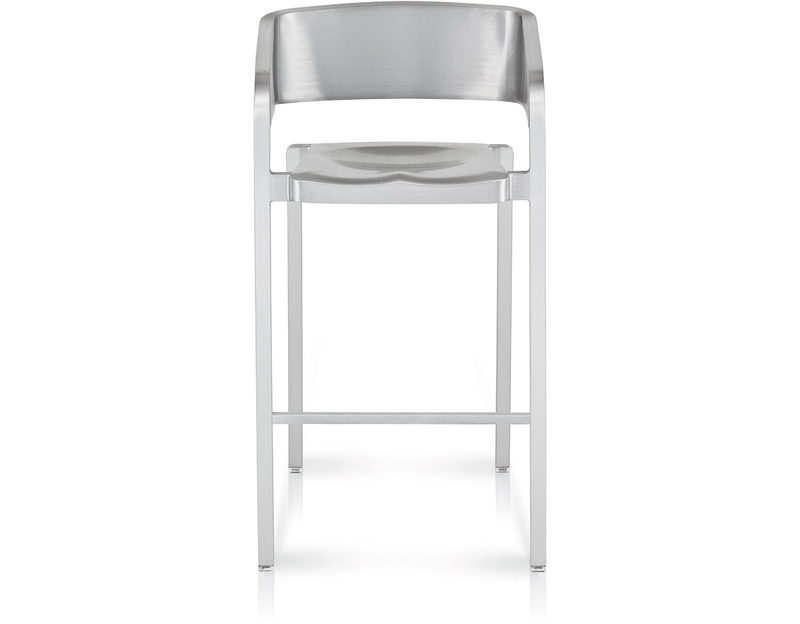 bart height: 21" w | 16" d | 43" h | seat: 30" h | 10 lbs. 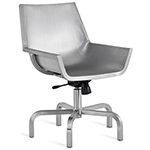 $2,420.00 + free shipping in the continental U.S.